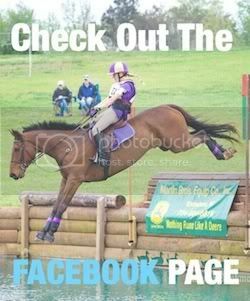 Kelsey is an upper level event rider from Charlotte NC. She currently competes at the CCI** level on The Gentleman Pirate, a 12-year-old Thoroughbred gelding she purchased at the racetrack in 2006 and brought along herself. Together the two have an impressive record, despite Pirate breaking his neck in 2013, an injury that was supposed to keep him from ever being ridden again. He had a miracle recovery and they plan to move up to Advanced in the near future, after recent success at the Intermediate/two-star level. Kelsey as spent the last 12 years running a boarding, training & lesson business in south Charlotte, with two lovely barns convenient to both Waxhaw and Ballantyne in Indian Land SC/Marvin NC. She and Pirate have recently relocated to the Middleburg VA area to train, but she has kept both barns in Charlotte, where Kelsey will continue to teach regular clinics. She is also available for lessons in the Northern VA area. Kelsey accepts horses in training in Virginia, her specialty being breaking youngsters and moving them up through the levels, as well as retraining horses off the track. She is also a licensed steeplechase trainer and attends as many races as her eventing schedule will allow. All content © 2019 by Kelsey Briggs Eventing. Design by Graph Paper Press.